Even for a person used to playing high-stakes cash games, starting with lower-stakes online is advisable. The goal of these first sessions, other than playing solid poker, should be to familiarize one's self with the nuances of playing online. Starting out at lower stakes also enables the novice to begin playing online with a smaller smaller bankroll. This can alleviate undue stress about losing sessions, and allow the player to focus on the long-term goal of becoming a successful online player. Generally speaking, when comparing the fields of the same stakes online and live, the online game will tend to contain more difficult opposition. A player that jumped into the same stakes online as he was playing live might start his foray into online poker feeling overwhelmed by the competition. 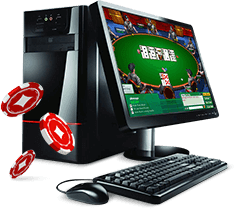 Therefore, gradually progressing through the stakes should assist a novice in becoming acquainted with, and eventually fully understanding, these differences and thus learning how to win at online poker. Hurdles to overcome on the first few sessions include aspects unique to online poker, such as using the time-bank feature. 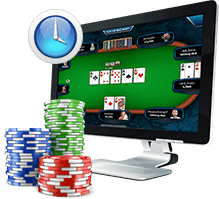 For some online novices, having a set amount of time to act can be a significant adjustment from the live cash world where a player generally has a least a few minutes to act before being in danger of having the clock called. 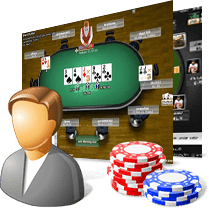 Additional aspects that the novice should take time familiarizing himself with include: the layout and lobby of the site, betting features, the cashier page, rake-back offers, and other bonuses. Easing into online poker instead of diving in head-first will help acquaint the novice with many of the unique aspects of online poker. One such aspect that differs from live poker is the large number of hands one sees per hour. In general, this number will be over double the amount of hands that would be played in an hour at a brick-and-mortar casino, even if playing only at a single table. The speed can be overwhelming to novices, and may take a bit of getting used to. It can be tempting to jump right into multi-tabling, as one of the many benefits of playing online is the ability to play more than one table at a time (though recently, some players have been spotted multi-tabling in live tournaments too). However, a great understanding of the technical aspects of online poker will assist the player in the weeks to come. Learn to win online poker consistently on one table. Then, once the player feels confident maneuvering a single table, he can begin adding one table at a time as dictated by his comfort level. Without the constraints of sitting at a physical table in a casino, many online players fall into the trap of finding ways to fill the time in between hands. Typically, this involves diversions such as watching television, talking on the phone, or surfing the web. These distractions will often cause a player to make a mistake, either by playing a hand poorly or missing out on information that could assist them in future situations. Developing an unprofessional attitude towards playing could translate into the person not taking poker seriously enough and thereby could keep him from becoming a great online player. Constructing and environment that is free from distractions is a crucial part of becoming a successful online poker player. If a player has reached the point that they can comfortably handle one table with time to spare, it is often a good time to consider adding another table to their normal routine. Creating an ideal environment for playing online poker is also an issue of hardware. Playing on a laptop while sitting on the couch in the family room is a situation bound to create distractions. 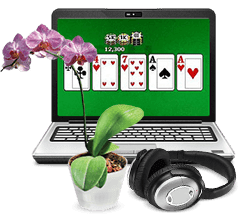 Playing at a desk , ideally in an office that can be closed off from the rest of the living space, sets one up to maintain a professional attitude while playing online poker. For those looking to play a lot online, investing in an ergonomic chair can reduce issues with back pain. 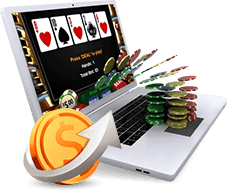 As the beginner further transitions to playing online poker, other upgrades can be of assistance towards to goal of maximizing one's profits online. A large, high resolution monitor can reduce eye-strain and make multi-tabling a less arduous process. A high quality mouse can reduce wrist strain, as well as the time it takes to complete action. For tournament players that will likely have a short break every hour, having a bathroom close by can be very convenient. Small measures that help create an ideal playing environment also include: a small refrigerator for cold drinks and healthy snacks, a playlist of the player's favorite songs, and personal mementos that will lend an uplifting vibe to the work station. Painting the room in a cheery color, and including flowers or plants can help achieve the goal of maintaining a positive environment. Creating an ideal environment for playing online poker will have many positive effects, such as: the player maintaining a professional attitude that can translate to better in-game decisions, helping the player avoid tilt by being in a room full of positive energy, and better physical comfort for the player that results in the ability to play longer sessions. 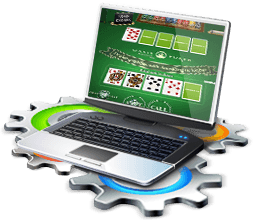 While some players are against utilizing software while playing online poker, the author takes the stance that as long as it is allowed by the site's terms of service then it is a tool available to all, and therefore is fair game. 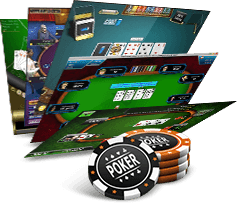 There are different types of software available to assist a player in becoming a better online player, and to neglect all types of poker software is to miss out on finding ways for the player to significantly improve his game. The best place for a beginner to start with using software is through a feature already present on most poker sites: the note-taking function. 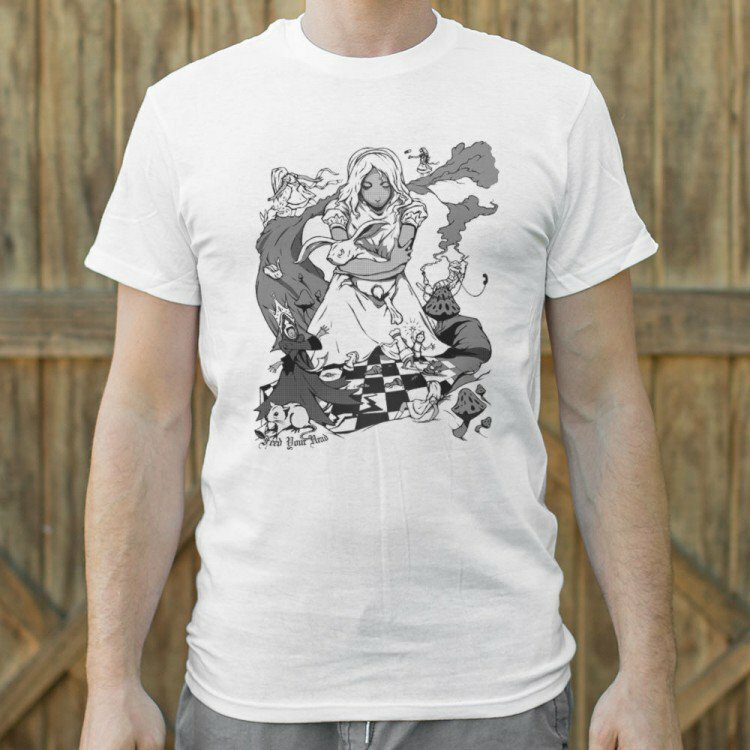 Oftentimes, an opponent will do something at the tables that the live player would have taken a mental note of had it occurred at his local casino, such as, "That player tends to over-value the strength of holding top-pair." One of the great things about playing online is that this mental note can often be directly recorded to stay with the player whenever you encounter him again, such as by adding the simple note, "Over-values top pair hands." Also available on many poker sites is the ability to color-code players. Developing a color coded system for identifying the relative strength of players can make table selection a nearly instantaneous process. For example, let's say that a player decides to give every shark he plays with a red note. If the player is thinking about playing a sit 'n go, but notices in the lobby that eight of the registered players have red tags, he would quickly see that table as not a profitable one. Programs like Hold Em Manager and Poker Tracker have many benefits. First and foremost, they contain a customizable head's up display feature (HUD) that gives information about one's opponents by tracking all of the hands they have played together. 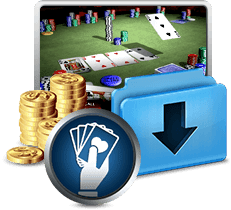 There are numerous options for which data to display, which is an important feature, as a player specializing in head's up cash games will want to have different stats displayed than a hyper-turbo sit'n go player. Another great aspect for beginning online players in programs like Hold'em Manager is their hand history replayer. While a lot of poker sites have a hand history tool, they lack much of the functionality available in other programs. The ability to replay a cash session or entire tournament away from the tables is an invaluable study tool for any poker player. Sit 'n Go Wizard is an important learning tool for tournament players. It allows one to analyze hands both from the perspective of Chip EV and ICM (independent chip model). It's a great tool for improving one's calling and shoving ranges. This tool is a must for those learning how to win online poker tournaments. Some of the best internet poker software (for use while studying) is actually free. PokerStove, and other such programs, allow a user to calculate their equity versus a range. Universal Replayer is a great tool for replaying a tournament hand history, especially for those not yet willing to pay for a program that includes a HUD. HoldemResources.net has many features useful for tournament players, including a Nash Equilibrium calculator, and head's up Nash Equilibrium push/fold charts. 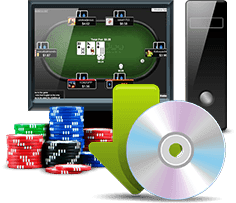 While software that enables an online novice to improve their poker playing abilities is very important, other poker software aims to assist the grinder with multi-tabling. As the novice makes the gradual transition to intermediate player and beyond, this type of software can be very useful. Programs such as Table Ninja, Auto Hot Keys, and Place Mint help a player act in ways to maximize efficiency. 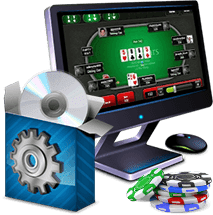 Down the road, the player can also look into table mods, which modify the appearance of the online poker tables and cards to the user's preference.